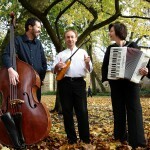 Trio Balalaika Nuèva – Winner of the International Competition in Castelfidardo (Italy) in the branch “Astor Piazzolla” (2004) and prize winner of the 40th International Accordion-Competition in Klingenthal (2003). The three virtuosi cultivate tradition and modernism, classical music and jazz. They easily alternate between many musical styles which at first sight don’t seem to match. In their programmes they present works by Astor Piazzolla und Frank Zappa, Madonna und the Beatles together with sprightly arrangements of traditional Russian folklore. The balalaika, tender and of strong expression at the same time, together with the accordion and the double bass, is in full harmony with French melodies, Latin-American rhythms, and today’s North-American popular music. “There are only very few compositions for the balalaika, that is why we had to arrange a lot or we wrote music ourselves”, says Paperny. Alexander Paperny – educated in Moscow as a soloist and a conductor – is one of the best known balalaika players in Europe and prize winner of the All Russian Folk Instrument Competition. A. Eisermann’s “The Show”; Schmidt Theater) Natasha Böttcher has made a name for herself as a brilliant soloist and a member of ensembles. 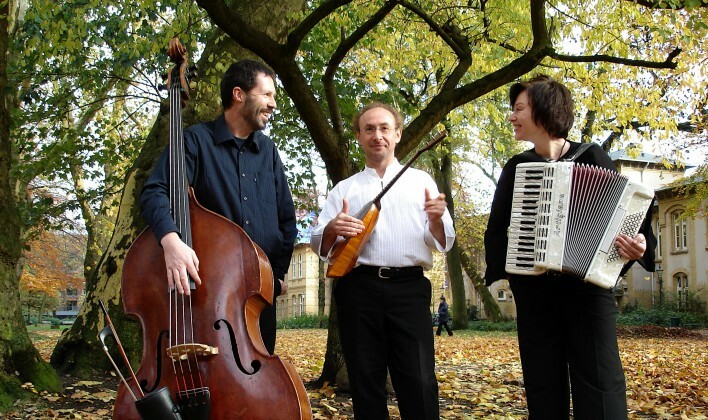 Trio and frequently participates in concerts and in CD-productions with Ulrich Tukur, Burkhart Klaußner, Dominique Horwitz, Iris Berben, Soledad Berrios und Efim Jourist.